ORLANDO, Fla. — The nation’s leading association for community colleges is helping its member institutions focus on building more apprenticeship programs and becoming experts for work-force development in their communities. Community colleges were successful at getting more students into college during the last century, Walter Bumphus, president and chief executive officer of the American Association of Community Colleges, said during the group’s 99th annual convention in Orlando this weekend, but more work is required to close racial and economic equity gaps in academic achievement and guaranteeing graduates are employed in well-paying jobs. “We can be the delivery and work-force training arm for the country,” he said. AACC and the U.S. Department of Labor partnered earlier this year to launch the Community College Apprenticeships initiative, which will produce 16,000 new apprentices over the next three years. Bumphus and other AACC officials provided more details Sunday during the convention about how colleges could join the partnership, which will use $20 million in federal funding to help create the apprenticeships. President Trump issued an executive order in 2017 calling for an expansion of apprenticeship opportunities. His administration created a 20-member task force of experts to find ways to make the expansion happen. Bumphus was a member of the task force. The Labor Department released a report by the task force last year, which criticized traditional higher education for failing to adequately prepare graduates for the work force. The report also released a “road map” for an alternative federal system for apprenticeships and called for more industry involvement. AACC will select 80 community colleges to help develop the apprenticeships with employers and expects each college to train 150 apprentices annually over the three-year period. The group has also identified four community college and business partnerships that are expected to produce 1,000 apprenticeships each, Worth said. AACC will announce the 80 colleges once they have been selected and the four partnerships once they’ve signed formal agreements, she said. 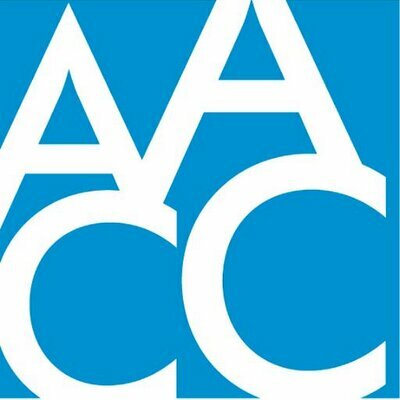 The Community College Apprenticeships initiative would help the two-year institutions identify externships, internships and cooperative agreements that could be defined as apprenticeships and help institutions define high-quality apprenticeship programs with the help of a 55-member task force assembled by AACC, Worth said. She said the initiative will help colleges provide students with more clarity about the apprenticeships by providing them with information such as the long-term career options, salary scales and the earning potential of specific fields. Sandra Kurtinitis, president of the Community College of Baltimore County in Maryland and chair of the AACC board, said everything the colleges do, whether they train nurses, accountants, poets or musicians, should be considered work-force development. Kurtinitis said as community colleges shift focus to building more partnerships with businesses and industries to create apprenticeships or short-term certificate programs, those efforts should be considered as successful as increasing traditional graduation rates. “If you only measure our degrees, you will never get the full dimension and power of what the community college in America is doing,” she said. More than 62,000 students attend CCBC, Kurtinitis said, but only about 30,000 of them are in a degree-seeking program. The other 30,000 are working on short-term credentials that often are not calculated in some measurements of academic outcomes, such as federal graduation rates. “If you can’t count them, too then you will never get the true value and strength of America’s community colleges,” she said.